Prolong the life of your door with an annual inspection and service visit, this will ensure it’s safe operation, meet with current Health and Safety Regulations and identify any problems before they become a costly issue for you. We only use dedicated teams of in-house fully trained fitters; the right staff to do any job from the largest factory warehouse doors to a simple grille or shutter. We are able to supply, steel door sets, fire doors and shutters, insulated doors and shutters, sliding and folding doors, high speed doors and strip curtains. Our experienced engineers provide a range of effective security solutions for warehousing and logistics companies with a range of products and services that are ideal at minimising the risk of crime. 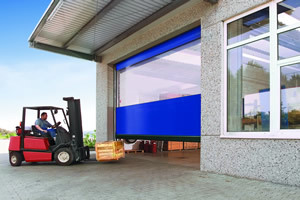 Industrial roller shutter doors are often required to withstand intensive heavy use through high traffic volumes. 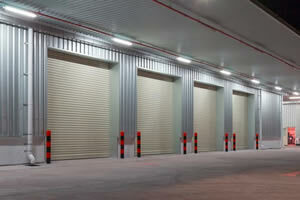 Typical applications for industrial roller shutter doors are loading bays, warehouses and car parks. Where temperature preservation is a priority, we can supply and install a range of thermally insulated industrial shutters or sectional doors. Flexible strip doors and plastic curtains provide an easy and cost effective way of managing temperature throughout your work space, especially where control of your environment is essential. 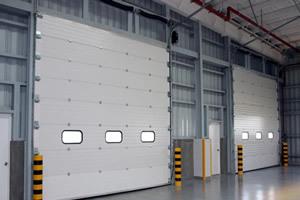 High speed doors including rapid doors and fast action doors are available and work up to 20 times faster than conventional industrial doors, avoiding heat loss and reducing energy bills. Let our experience save you time and money. 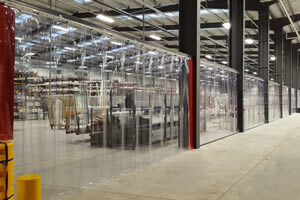 We offer a fast professional service and repairs to keep your loading areas working and your products moving. 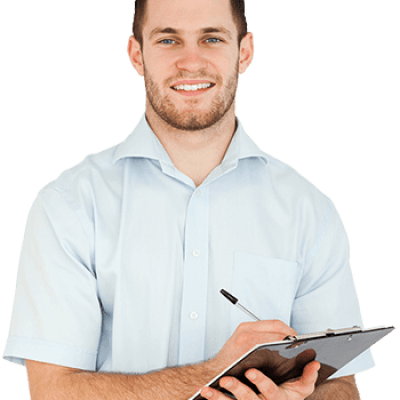 Our technical surveyors offer free advice and, when necessary we can dispatch a rapid response repair team to deal with door and shutter emergencies. A fault can occur at any time. With our 24-hour call out service, you know that no matter when a problem arises, we will be on hand to offer emergency door repairs and maintenance. We carry large stocks of spare parts for all types and makes of doors and shutters. Our experienced engineers are fully trained and based locally in your area. Our Professional maintenance and roller shutter repair service is available 24 hours a day. In the unlikely event that a door or shutter is beyond ecomonical repair, our factories can quickly manufacture a replacement for installation with minimum inconvenience to your operations. I would like to say thank you for the service we have received from your company following the installation of a roller shutter door. The 4 members of your team conducted themselves in a very professional manner and nothing was too much trouble for them, they left the area they worked in spotless. I forgot to say, thank you for sorting out our problem quickly, much appreciated. The door looks fantastic and has had very good comments from all involved in the project, can you please thank your guys, they did a great job!